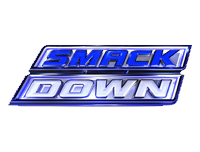 The 6th November 2012 episode of Super SmackDown! Live starts with Michael Cole introducing Sheamus to the ring, where footage is shown of a fight involving Sheamus, The Big Show, and William Regal at a pub following Monday Night Raw (click here for our Raw report). After watching the footage, Sheamus warns Cole that it is not a good idea for him to be in the ring right now, which Cole immediately heeds as he quickly exits the ring. Sheamus commends The Big Show for having the “stones” to come onto his turf to attack him, but he isn’t happy about him attacking William Regal too, somebody who has done a lot for just about everyone in the locker room. He says that they both know that it will be all about the World Heavyweight Championship, but he calls him out for right now to be all about Sheamus kicking Show’s giant arse. Show appears on the titantron and calls Sheamus an ungrateful ginger, as he says that he held back a little so that Sheamus could make it to Survivor Series. Show says that at Survivor Series it will be a different story as he will take Sheamus out permanently, retaining his title. He says that Sheamus wants no part of fighting him, and suggests that he ask Regal if fighting Show is a good idea. Sheamus tells Show that if he is too scared to come down to the ring then he should just admit it, but Show denies this and says that he has no reason to, prompting Sheamus to say that the “stones” he mentioned earlier must actually be “pebbles”. He suggests that Show grow a backbone and go to the ring as he is dying to show him how an Irishman does it, but instead Wade Barrett’s music hits and he makes his way out onto the stage. Barrett says that Sheamus looking for a fight with Show, when he knows that he has one to come with Barrett at Main Event, makes him question his sanity. Wade Barrett says that after he is done with Sheamus, he will be in no condition to fight with The Big Show at Survivor Series, but even if he is by some minor miracle, Sheamus will have been left a painful parting gift courtesy of the Barrett Barrage. Sheamus suggests that as The Big Show was too afraid to come out and fight him, Barrett should head to the ring and fight him right now instead. Barrett starts to walk down the ramp, but appears to change his mind, instead turning around again and leaving. After an interaction backstage involving Wade Barrett and Booker T, Kofi Kingston takes on The Miz for the Intercontinental Championship in a match which sees Kingston get the victory and retain his title, when he hits The Miz with a diving crossbody for the 3-count. Afterwards, The Miz extends his hand to Kingston in an apparent show of respect, but Kingston clearly doesn’t trust the sincerity of the action as he snubs it by hitting The Miz with a dropkick instead. Next, Sin Cara and Rey Mysterio are pitted against “Prime Time Players” Darren Young and Titus O’Neil in a Tag Team match which sees O’Neil get the victory for his team, when he hits Mysterio with a spinebuster for the 3-count. Afterwards, Matt Striker attempts to interview Young and O’Neil, only for them to take it over and interview themselves, with the answer each time being “millions of dollars” and then them doing the “millions of dollars” dance. After a video recapping the events of Raw involving Vickie Guerrero, AJ, and John Cena, and an interaction backstage involving Booker T and Teddy Long, Wade Barrett and The Big Show go against Sheamus and William Regal in a Tag Team match which sees Show get the victory for his team, when he hits Regal with a K.O Punch for the 3-count. After a video recapping the events involving Randy Orton and Alberto Del Rio last week, a Matt Striker interview with Del Rio about it, a video recapping the events of Raw involving Brad Maddox and Vince McMahon, and a Striker interview with Orton regarding Del Rio’s comments, Randy Orton takes on Alberto Del Rio in a Falls Count Anywhere match. The match sees Orton get the victory, when he avoids Del Rio’s chair shot attempt and follows it up with an RKO on the steel steps for the 3-count. Orton celebrates in the ring, as SmackDown! goes off the air.